Based on Almas Jiwani's international profile and philanthropic background, the board of the John Molson MBA International Case Competition felt she would make an excellent candidate to judge the 2016 John Molson MBA International Case Competition. With 36 top MBA schools from around the globe invited to compete against one another Ms. Jiwani will have the opportunity to engage with and be challenged by talented future leaders; be subjected to new ideas and current hot topics in the business world and network with this year's other distinguished judges, making it a memorable experience for all. THE COMING COMPETITION WILL BE HELD IN MONTREAL, JANUARY 3RD TO 8TH 2016. This year the competition will be celebrating its 35th anniversary by underlining the competition's importance and reputation. The organizing committee is looking forward to Almas Jiwani's participation in this historic event and recognizes that a great part of the success of the competition is due to the level and quality of the judges. 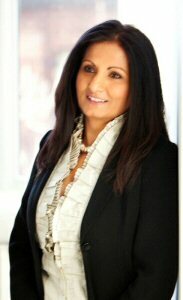 Almas Jiwani is founder of the Almas Jiwani Foundation, and founder of the United Nations Women National Committee Canada. The AJF is a foundation dedicated to the equality, education, empowerment and entrepreneurial development of women around the globe. This foundation is focused on expanding technologies available to women in the developing world, and through these technological advances, expanding the educational opportunities available to women in these regions. Founded in 1981 by dynamic female duo Nora Kelly and Annette Wild, the National MBA Case Competition has grown from an unknown event between 4 Canadian universities into an annual international event of the highest prestige. Today the event has become the oldest and largest MBA case competition in the world and is attended by 36 teams hailing from 6 different continents. The John Molson MBA International Case Competition (MBAICC) is the most prestigious competition of its kind that invites top MBA schools from around the world to compete against one another in Montreal.